Twenty-seven brand new trains are now in service. Trains are in 4 coach formation but can be worked in multiple to create the maximum of 12 coaches. which is extended to Brighton. 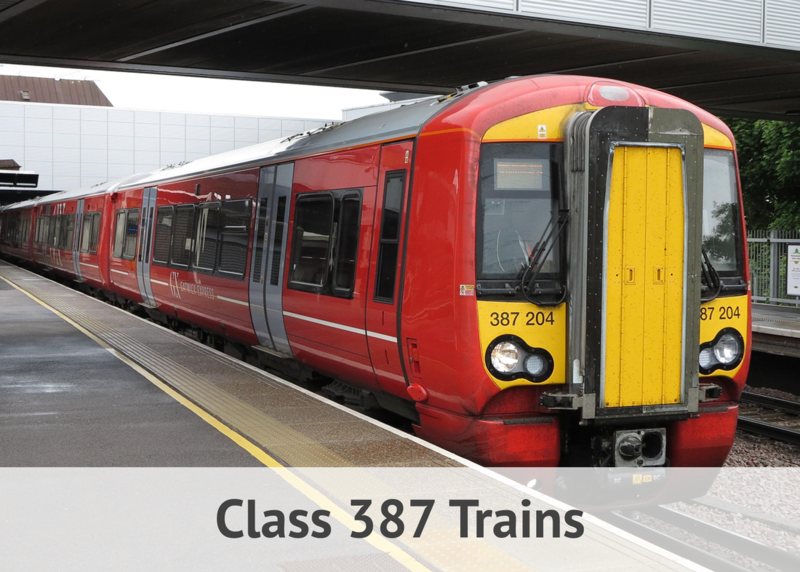 ​February 2016 saw the first of twenty-seven new Class 387/2 trains being introduced on the Gatwick Express. ​The new trains replace thirty-year old Class 442 trains, which lacked many modern accessible features. They were difficult for passengers to board with luggage and those with restricted mobility. The new trains are in 4 Coach formations and can be worked in multiple to create the maximum of 12 Coaches. Some Class 387/2 trains are on loan to Thameslink to cover stock shortages. The new trains are numbered 387201 to 387227. 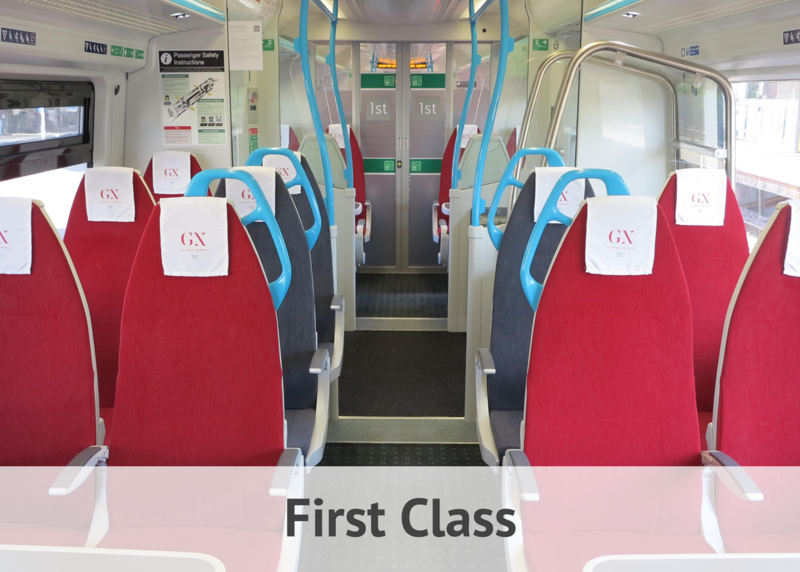 ​The First Class Area has been improved following the introduction of these new trains. 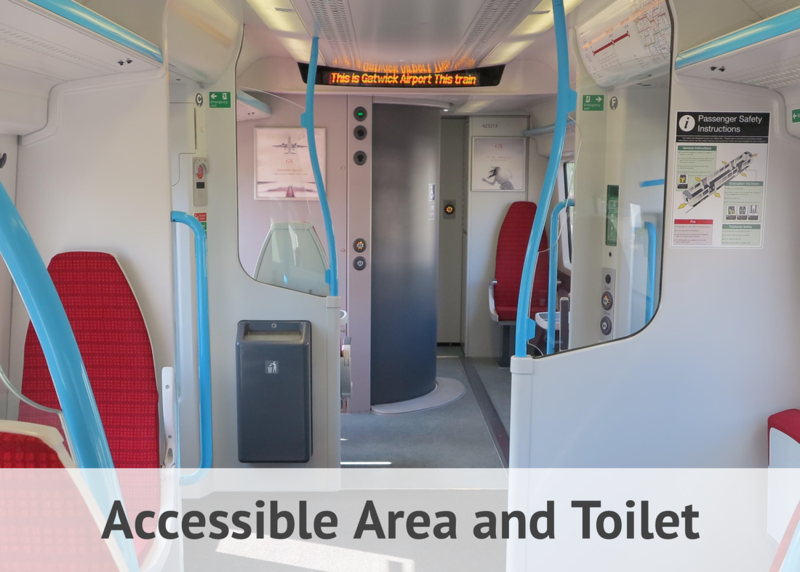 …as well as the same features in Standard Class.